The tester is so simple. 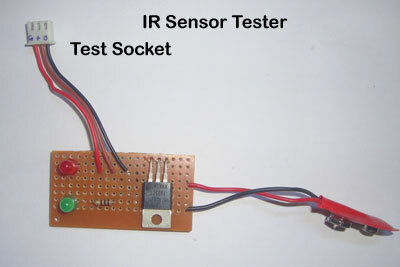 It is an IR Module circuit but instead of the IR Sensor module, a three pin socket is used for testing the sensor. 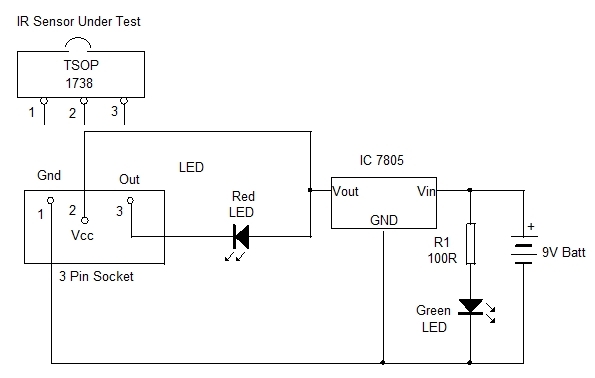 Green LED lights when the tester is powered using 9V Battery. 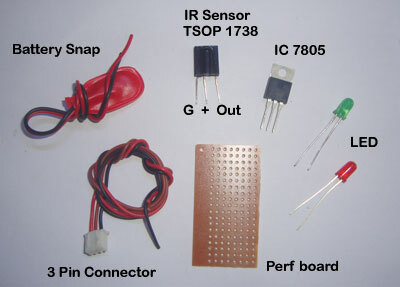 TSOP 1738 gives high output when not receiving Pulsed IR rays of 38 KHz. Output voltage will be around 3.3 V at 20 mA current. 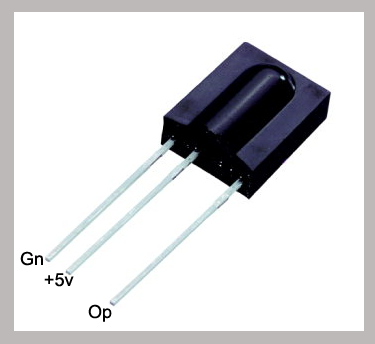 When the Sensor receives IR rays, its output sinks current and output voltage turns zero. 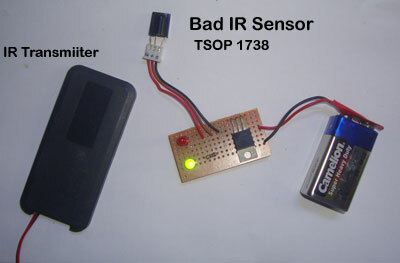 Insert the Sensor module in the Test socket with correct polarity. Regulator IC 7805 gives steady 5V DC for the Sensor under test. 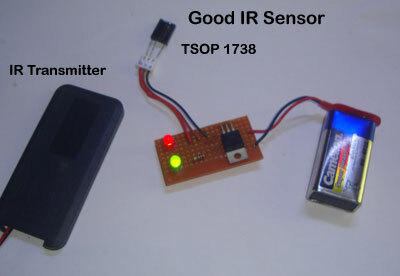 When the IR transmitter emitting 38 KHz IR beam is focused, RED LED blinks if the sensor is a good one otherwise, the Red LED remains dark.